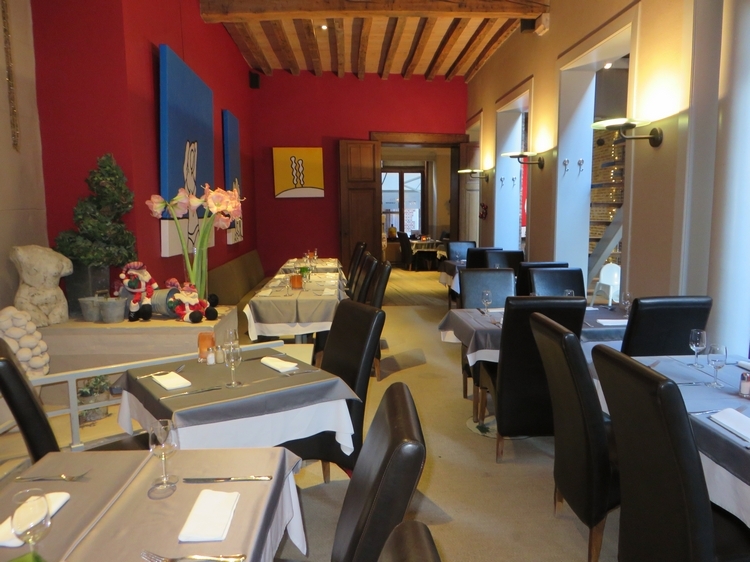 Restaurant review #32 Mykene is a traditional restaurant in the city center of Leuven (Louvain). But unlike most other traditional restaurants, it has several vegan options standardly available! Leuven is about 15 minutes away from Europe’s capital. Mykene is a very large restaurant, with a terrace in front on the street and a spacious private terrace at the back. The photos below give you an impression of the interior. We had been at restaurant Mykene a couple of years ago, but at that time their vegan options were still rather limited (adjusting the vegetarian options, e.g. by leaving out the cheese), but now they have a seperate vegan category on the menu card (and yes, the “Belgian cheese” mentioned in one of the vegan dishes is vegan cheese, we asked 😉 ). 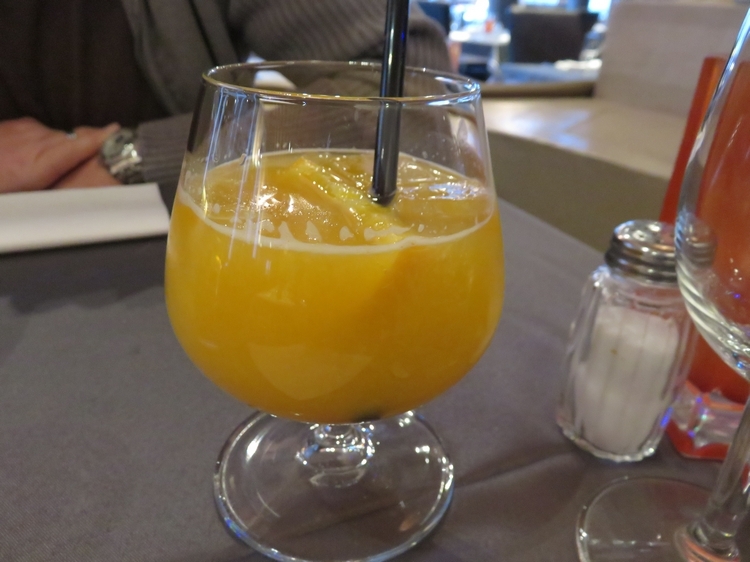 It’s nice they have freshly squeezed orange juice, although it was quite expensive for this little glass: 6€. 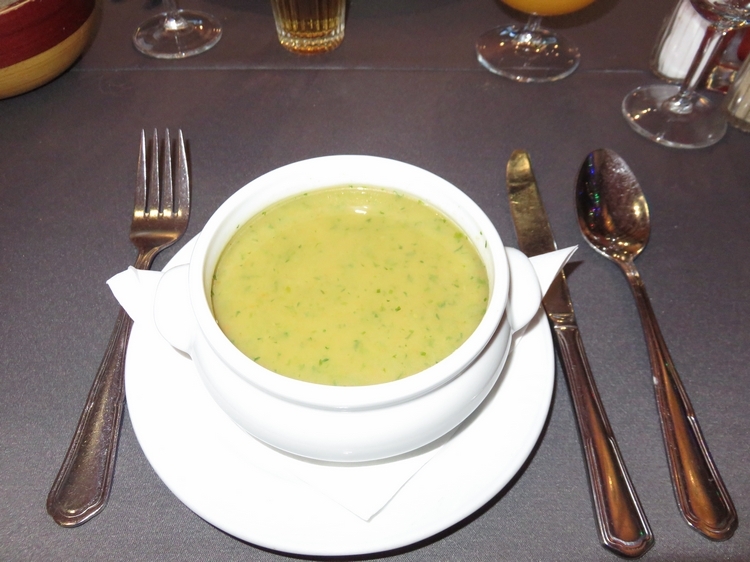 For starters we had the soup of the day (leek soup, 5€) and the vegan salad caprese, with mozzarella and rucola (11,50€). Both were very enjoyable. The vegan mozzarella was a pleasant surprise. Although we are not really into vegan meat or fish substitutes (the vegan scampis or vegan bacon type things), we were intrigued to see such things on the menu at Mykene. So we decided to give it a try. 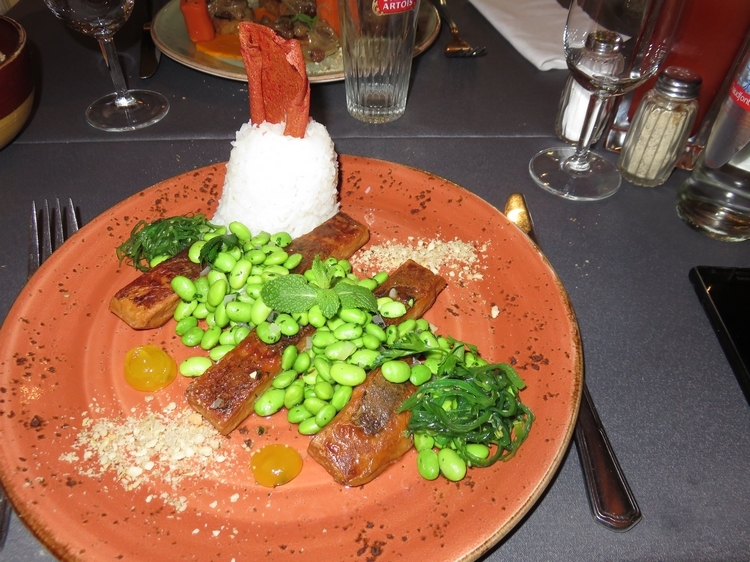 We had the vegan fishfilet with wakame, soy beans, nori and ponzu (a citrus based sauce) with rice (18€) and the smoked seitan with carrots and sjalots (17,5€). The vegan fishfilet was way too big portion for me, covered with too many (rather tasteless and hardly cooked) soy beans. We didn’t really know what to make of the chunks of vegan ‘fish’ (we both tasted them). ‘Weird’ would probably be the most fitting description. Ther dish mainly got its ‘fish’ or sea taste from the little piles of seaweed. 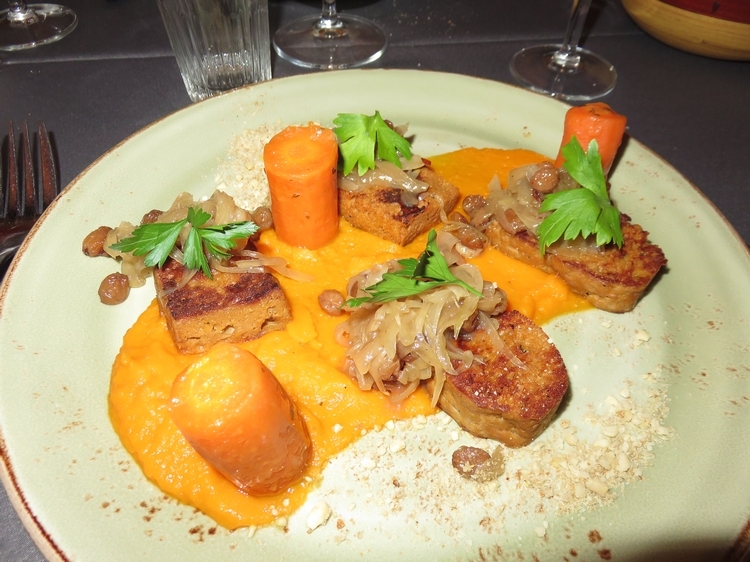 The seitan dish was rather unusual too, because you don’t get to taste seitan ‘smoked’ style that often. A nice variation to the grilled or baked seitan we are more used too. We both definitely preferred the seitan dish to the vegan fish dish. 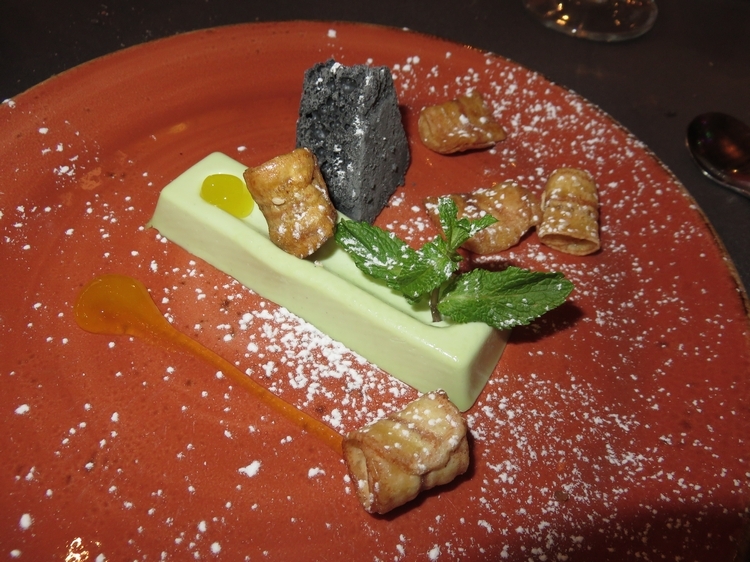 There is one vegan dessert available at Mykene, and I was very eager to try it out: Pannacotta with coconut, pandan (palm leaves) & ponzu (a citrus based sauce), 8€. This was very nice and the waiter also specifically mentioned that the chocolate piece was a homemade – and vegan! – creation of the chef. Overall we thought our lunch at Mykene was on the expensive side. 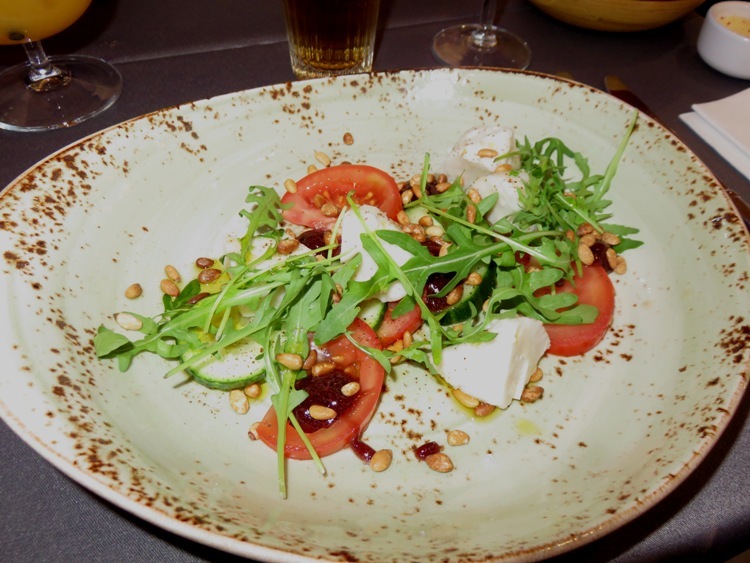 Especially 11,5€ for the starter – the vegan salad caprese – was way overpriced. 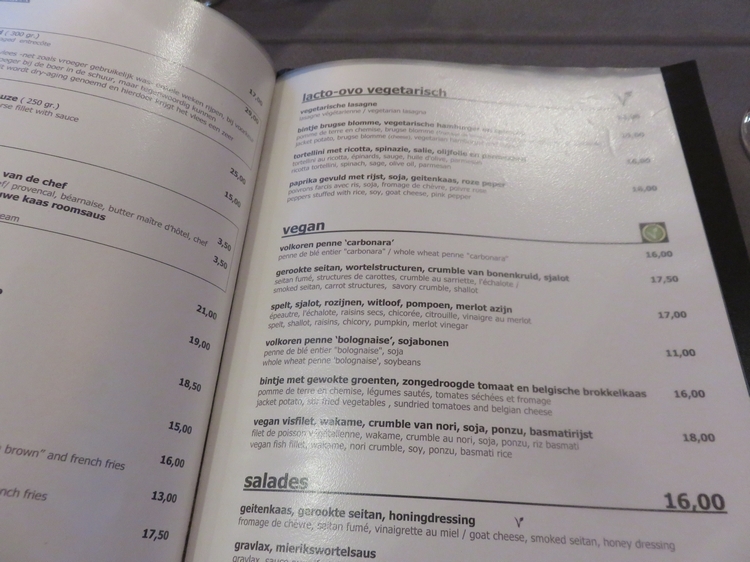 It’s nice they have several vegan options mentioned seperately on their menu card, and we are eager to try out the other options when we are in Leuven again. The fish substitute thing was not really to our liking, but I can understand there are many people who do like these substitutes and it can lower the treshold for people to give vegan food a try. More vegan options for dessert would be nice, although the pannacotta (and the mozzarella) was surely one of the best things of our lunch. When visisting Leuven, you can also considering dropping by at vegan restaurants Loving Hut or Vegaverso, and shop at vegan store SHAVT. All within walking distance of restaurant Mykene. Very, very cool! Such fancy plating 😛 I have yet to try vegan mozzarella…looks great! 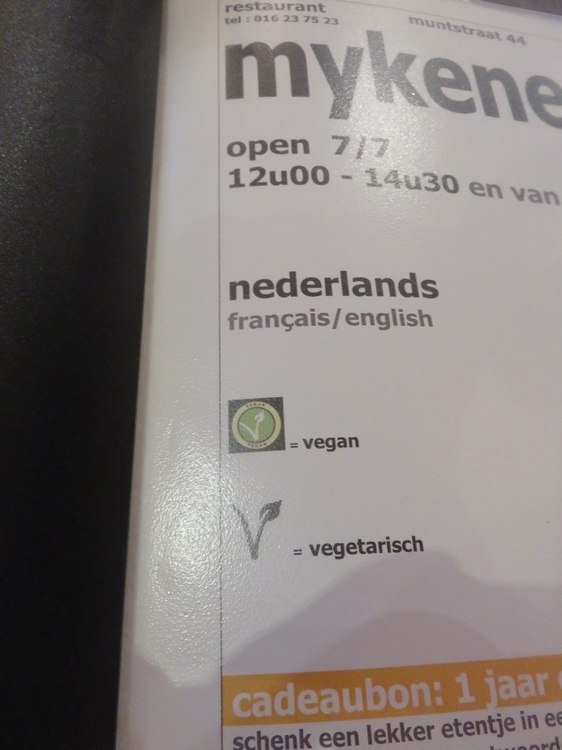 We went to Mykene in January 2014 and the menu did not yet contain a separate vegan category. It’s great that one of the most well-known mainstream restaurants in Leuven explicitly mentions vegan menu options. Hopefully other restaurants will follow. 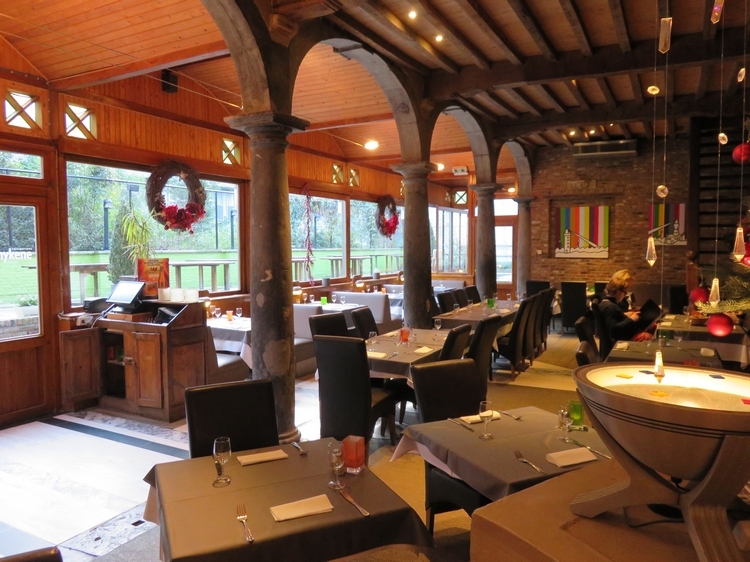 Next PostOur blog The Bruges Vegan is one year old!